Johannesburg - The 2017 Super Rugby campaign is over but that does not mean the Stormers and players will be putting their feet up as they all head into a critical part of their development and build-up to next year. According to the SuperSport website, although his team bowed out at the quarterfinal stages of this year’s competition when they were beaten by the Chiefs last weekend, which means they progressed no further than they have since 2012, coach Robbie Fleck believes the Stormers made massive progress over the last 12 months and is excited about where they could be in a year’s time if they keep developing. “The exciting thing for us is that we are not losing too many players. Only three or four guys are leaving us, so we will have pretty much the same group next year (with maybe a few additions),” said Fleck. Unlike some other franchises/unions, the Stormers coaches do not continue through with Western Province in the Currie Cup. That practice changed when Gert Smal arrived as director of rugby a few years ago, and it has born dividends, with Fleck feeling that he gained a lot from the “down period” last year. It was then that Fleck travelled overseas to spend time with, among others, England coach Eddie Jones, as well as some of the New Zealand Super Rugby coaches. What coaching input at WP there was from Fleck in the latter part of last season was delivered at junior level, and it will be the same again. Fleck and conditioning coach Steph du Toit (who travelled with him last year) will be joined on their travels by forwards coach Russell Winter and skills coach Paul Feeney, with the rest of the Stormers management being involved with WP’s Currie Cup challenge. “We will have our wash-up and then the coaches will get together and start planning forward before going on our travels,” said Fleck. One of those foundations is the skills work they did under Feeney in the off-season and which saw them start the competition this year looking noticeably better skilled than they had been before. Feeney, a New Zealander who has worked for the Blues, has always said that it is about repetition, and getting skills to become innate, and another few months building on that and working on other areas that get pinpointed and identified over the next while could just turn the Stormers into proper contenders next year. “We want to take it further than this next year and we are confident we can do that,” said Stormers skipper Siya Kolisi after the loss to the Chiefs. Indeed, the Stormers do have a lot of who are still available for age-group rugby who now boast Super Rugby experience. Willemse was joined in the senior ranks by his Junior Springbok teammate Juarno Augustus in the match against the Sunwolves, while Cobus Wiese, also just 19, was outstanding for the Stormers before he was injured. As always with a liberal sprinkling of the top players away on Springbok duty, the Currie Cup will offer a great opportunity for those players to develop further. “We have a Currie Cup to win and we see that as an important stepping stone to next year,” said Fleck. 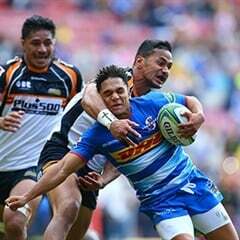 “It is not a case of the Stormers players now just ending their season. They will have a week break and those not involved with the Springboks will be straight into the WP campaign. There is a lot of alignment between myself and Dobbo (WP coach John Dobson) and alignment with what we are doing. I am going to spend some of the early weeks with Dobbo to help that process.